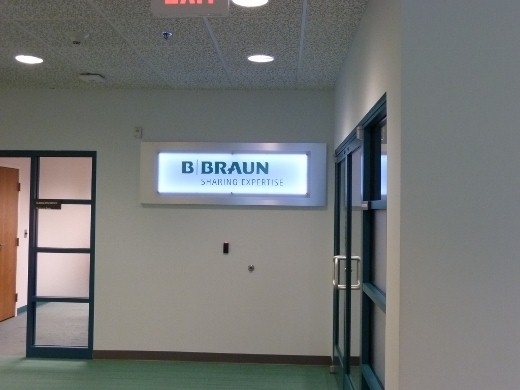 Valley Wide Signs & Graphics has manufactured several custom interior signs for B. Braun facilities. 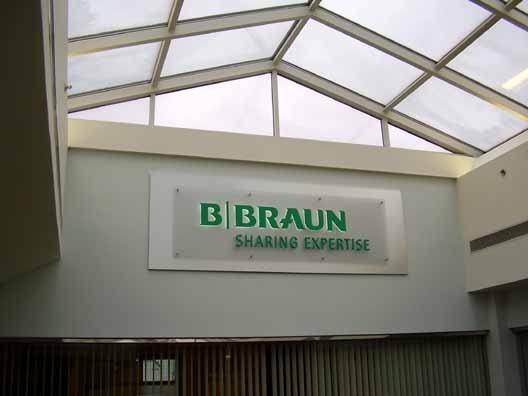 These signs consist of a brushed aluminum backer plate with a frosted acrylic logoed panel secured with aluminum standoffs. 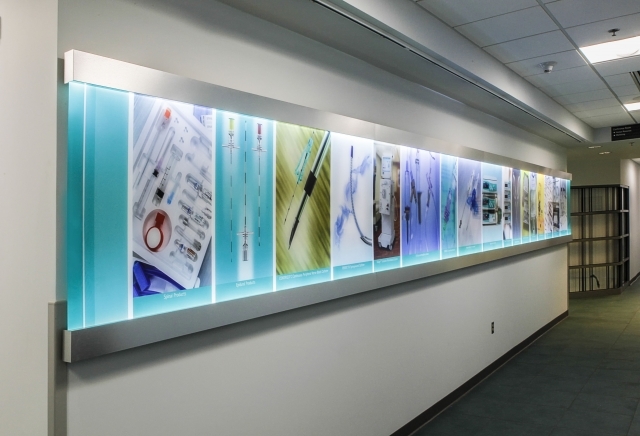 The company’s CEO loved the design of their interior signs but wanted them to “pop” when you look at them. 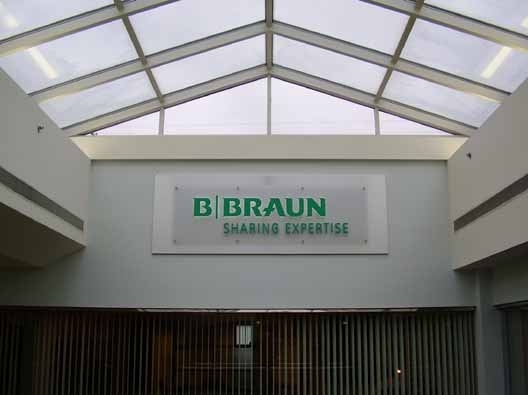 B. Braun tried various methods to light them with external lighting but none worked to the satisfaction of the CEO. 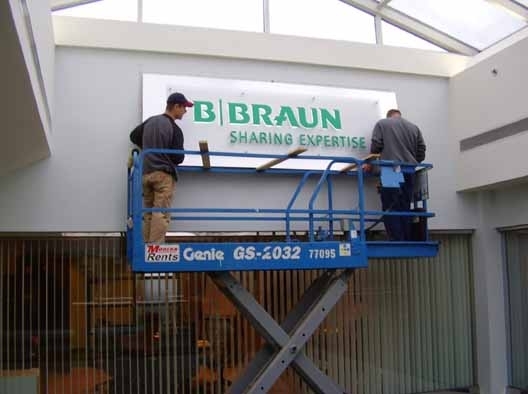 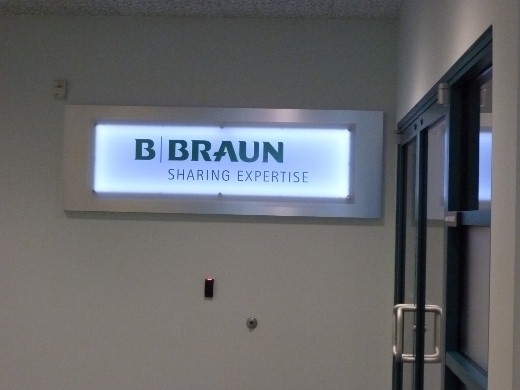 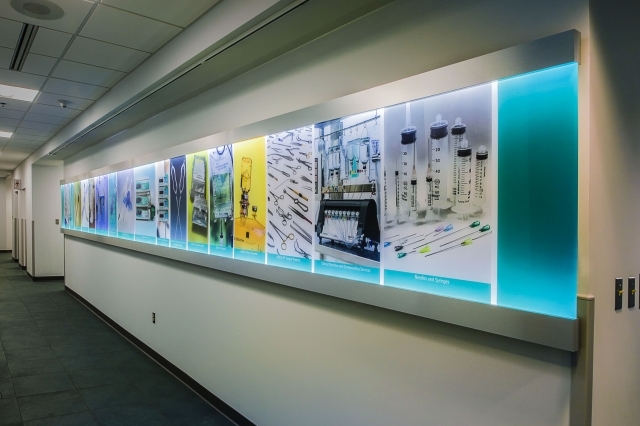 B. Braun approached Valley Wide Signs & Graphics with the challenge, and after working through two prototype ideas, an internally-lit LED sign was created and provided to B. Braun. 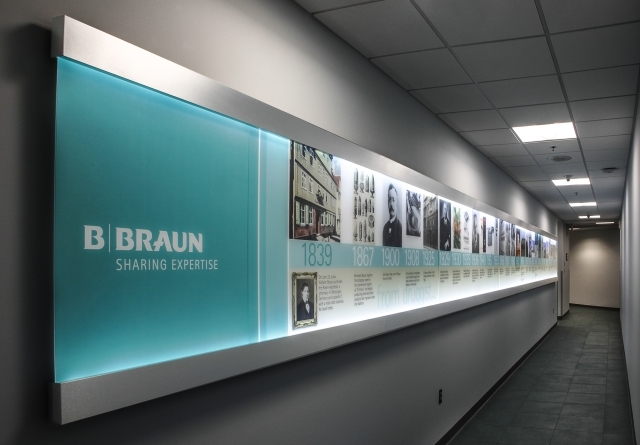 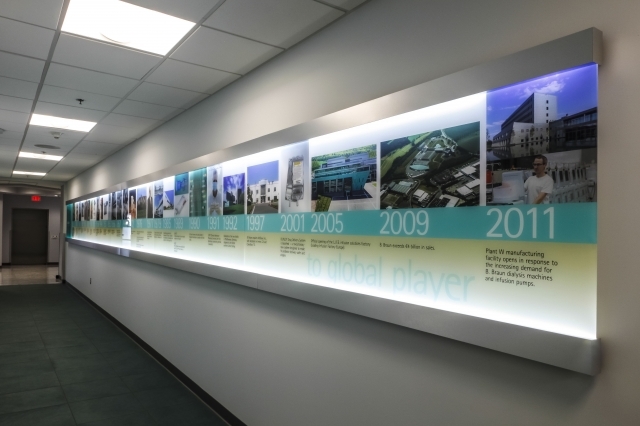 It provided the appearance the CEO was looking for while maintaining the look and feel of the original signage.